It's HALLOWEEN! 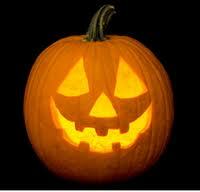 Have a Safe and Happy Halloween - Be Careful Out There and Watch for Pedestrians! It's all over the news, "Halloween" is one of the most dangerous nights of all, for pedestrians. Sunset tonight is at approximately 5:31 p.m. If your driving please Slow Down and WATCH for Pedestrians!!! Glow sticks, flashlights and refelective gear could make the difference when keeping people safe Halloween night. In case you missed it, I know I did! It may be awhile, before we see any electric vehicle fast charging stations in or around the Coeur d' Alene area, but an "electric highway" along I-5 in the Seattle area, in our neighboring state, is already in the works and is touted to be in operation before the end of January 2012. 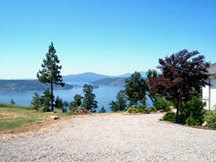 The project was developed as part of the West Coast Green Highway. The first charging sites will be placed along I-5 north of Everett and south of Lacey. Additional charging stations will be added along US 2 reaching central Washington. Washington State Governor Gregoire issued an executive order that directs the state to develop and seek federal funds to implement a project for the electrification of the West Coast Green Highway. WSDOT is also on board. The project is federally funded through the U.S. Department of Energy with American Recovery and Reinvestment Act dollars administered by the Department of Commerce through the State Energy Program. It will be the first border to border highway to offer fast charge technology. The electric highway will support mass-produced plug-in electric vehicles such as the Nissan Leaf, Ford Focus and Chevrolet Volt that are now rolling off the assembly lines. So if you own an electric car, are thinking about buying one and are planning to go on a trip along the I-5 corridor, you may be in luck! To read more....see the attached link. We will update the blog on this when we hear more.. HOORAY!!!!!! The KMPO Blog is BACK UP and RUNNING!!! 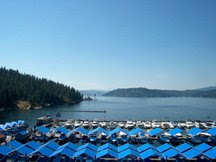 Kootenai Metropolitan Planning Organization is now located in downtown Coeur d'Alene. Check back frequently for posts related to all modes of transportation!